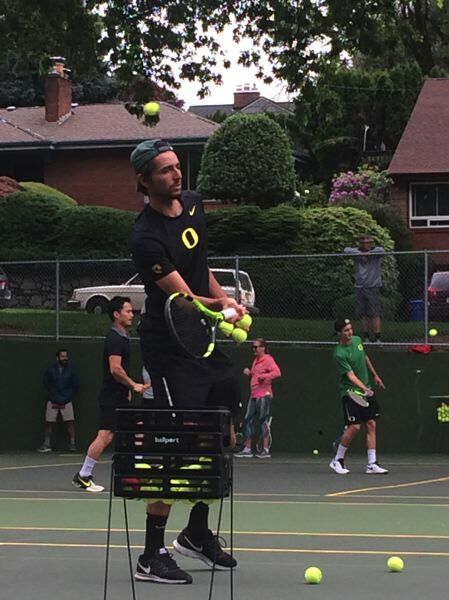 What was the record-breaking Oregon Ducks men's tennis team doing at a Southeast Portland park last Saturday afternoon? Remembering one of their own, the late Alex Rovello. Rovello was a standout player, leader and No. 1 singles man for the Ducks. 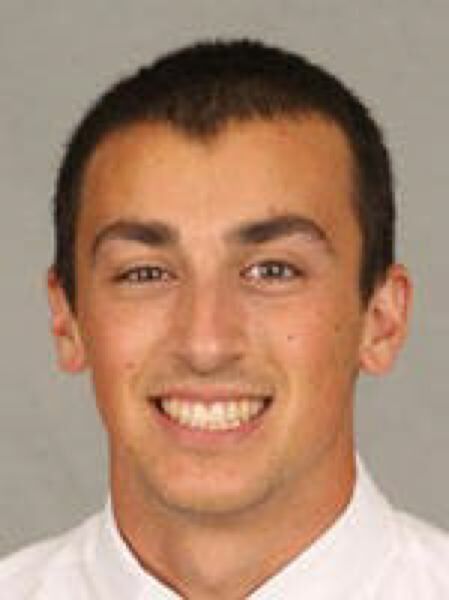 He was a junior when he drowned in a diving accident in May 2013 near Eugene. "This means a lot to us, being here today," Oregon coach Nils Schyllander told the gathering at Berkeley Park, a few blocks from where Rovello grew up and the place where he began to learn the game as just a tot. At Cleveland High, Rovello was an undefeated, four-team state champion who never lost a set and was ranked as high as 24th nationally in junior play. He chose to be a Duck over various other colleges around the country, including Washington, Penn State, Santa Clara and Northwestern. His personality, as well as his game, helped Oregon build its program into the current solid mix of players who this spring finished No. 24 in the nation — their best ranking ever. "An amazing person and teammate," Schyllander said. Most of those who were in the program during Rovello's time have moved on — but the Ducks haven't forgotten the beloved local product who overcame his lack of size with savvy, an unorthodox style and a lot of heart. No one loved being a Duck and part of a team more than Rovello. 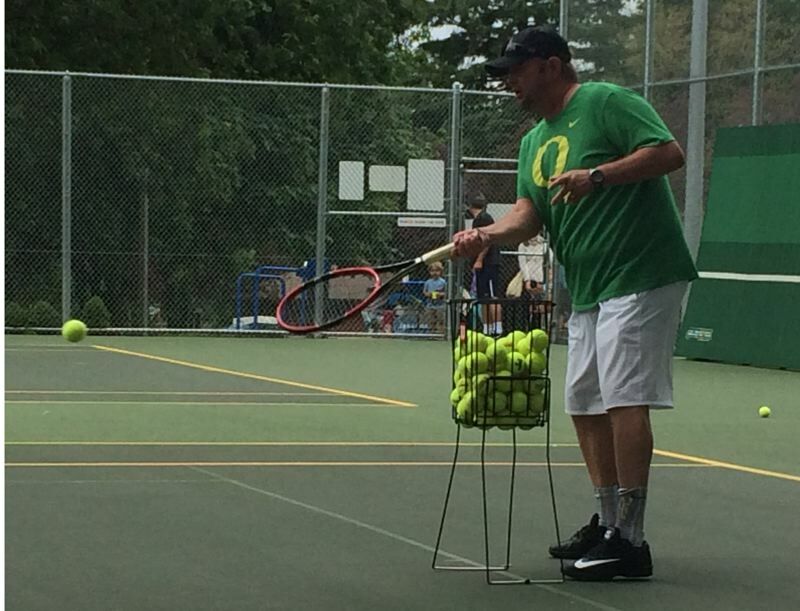 Center court at Oregon is named in his honor. The Rovello spirit has carried over to the current Oregon players, who come from around the world. Players such as sophomore No. 1 Thomas Laurent from France, who won 18 matches in a row at No. 1 singles this year. The Oregon men reached No. 21 late in the 2017 season under Schyllander, the coach from Sweden who rolled the dice on Rovello. The Ducks have now made it to the second round of the NCAA playoffs in back-to-back years for the first time in school history. Oregon also placed fourth in the Pac-12 this season — its highest finish ever, and Schyllander has the Ducks' sights set on a Sweet 16 showing, or better, next season. Someday soon, "a Final Four — why not?" he said. Heady stuff in a sport dominant by perennial powers in sunnier, more-populated and tennis-friendly climes. 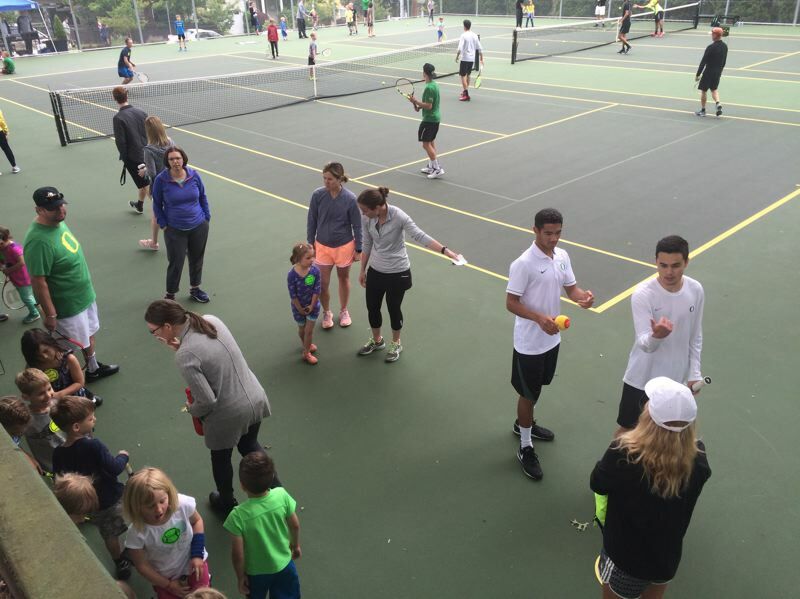 The coaches and players treated onlookers to some drill work, then let kids join them on the courts for some hitting and instruction. "To have former players here and see the turnout speaks volumes to what Alex still means to all of us," Schyllander said. 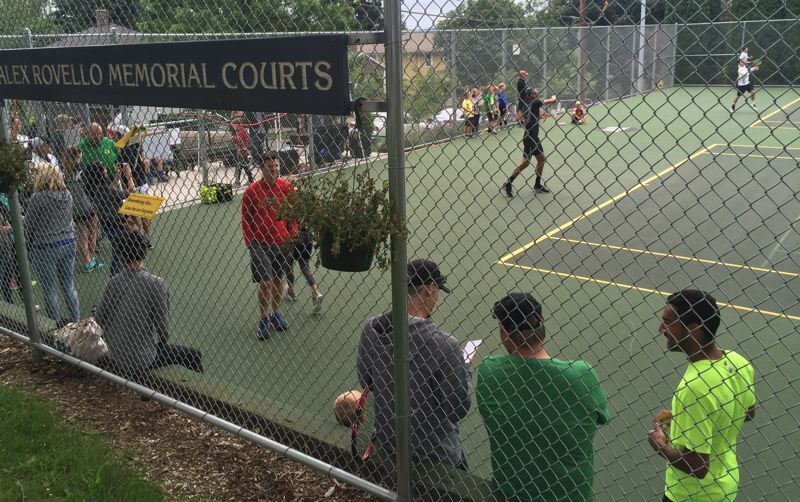 The two tennis courts at Berkeley Park have been upgraded significantly since his death into what amounts to a shrine for Rovello. 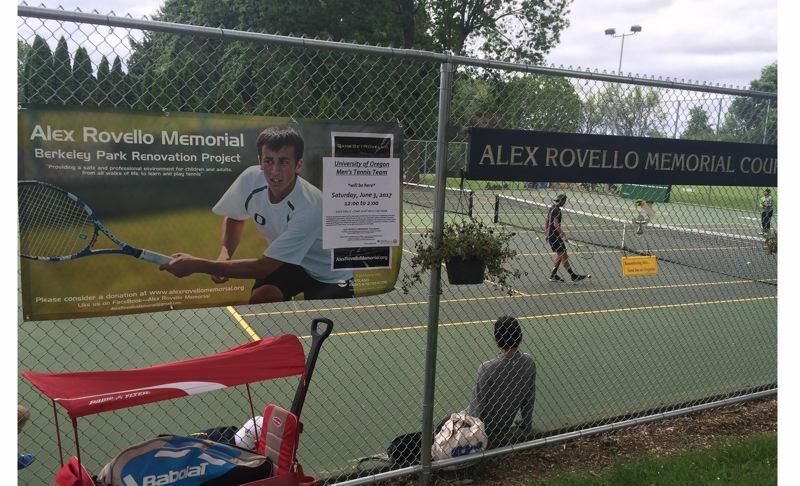 Portland Parks & Recreation renamed them "The Alex Rovello Memorial Courts" in a July 2014 ceremony also attended by the Ducks. 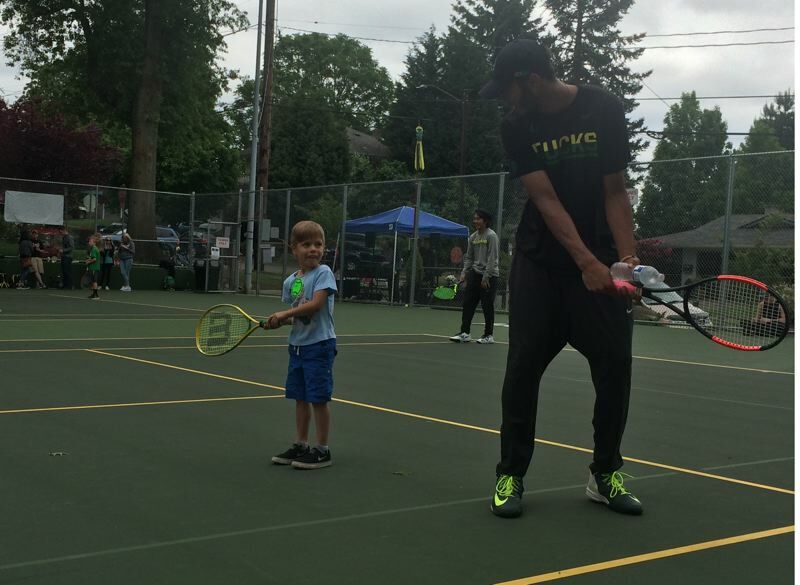 They are a hub for the Eastmoreland neighborhood — a beautiful, fun and public place for all ages to play outdoor tennis. Alex's parents, retired teachers Jim and Geri, continue to head the daily maintenance of the immaculate facility, and the Alex Rovello Memorial Foundation continues its work there and its promotion of tennis as a lifetime sport. UO assistant coach Jonas Piibor, also a Swede, was a chief recruiter of Rovello, and recalled the "good times" of going to the family home up the street. "It's an emotional day for us," Schyllander told the crowd, fighting back a few tears. "Alex was a very important part of our program. He is still such a huge part of our program, and always will be. "Love him, love him, love him."